Security was beefed up after news spread that the Congress has approached the apex court against Karnataka Governor's decision to invite the BJP to form the government in the southern state. 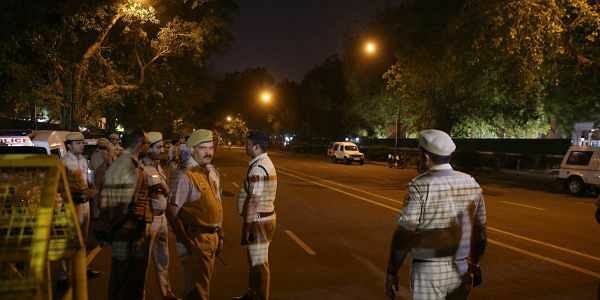 NEW DELHI: Security was beefed up on Wednesday night and a strong posse of policemen deployed on the way leading to the 5 Krishna Menon Marg residence of CJI DipakMisra , after news spread that the Congress has approached the apex court against Karnataka Governor's decision to invite the BJP to form the government in the southern state. As a midnight political drama was played out, traffic was diverted and barricades were placed at various places on the Krishna Menon Marg, even as journalists rushed to the CJI's residence in anticipation that advocates for the Congress party will mention the petition for urgent hearing in the case tonight itself. One of the cops said they were only informed that some VIP movements are likely to take place and therefore, security arrangements have been made. Security was also stepped up around the Supreme Court premises where the lawyers for the Congress met the registrar. Only one gate, i.e. Gate No E, was opened for the lawyers and court staff. The journalists were kept out. A large number of policemen and PCR vans were seen stationed there.